In Hawaii, inter-island flights are the most convenient way to see numerous islands during your trip. Being the only island state in the country, traveling to the different islands or counties is not as simple as loading up your car with your dog, clothes and gear, popping in a DVD for the kids and shooting down the interstate. Life in paradise requires much more than that. Hawaii vacation veterans will remember those days where one could buy a fist full of blank tickets where you could choose your destination, write in your name and call reservations for a seat on the way to the airport. Inter-Island flights are available at every major airport. Well, as with the rest of the United States, airline travel in these post 911 days are more difficult. However, in Hawaii it is truly an inconvenience. TSA lines are sometimes long and slow and in many cases make clearing security longer than the actual flying time. However, until the authorities understand that we cannot drive from county to county and provide Hawaii with solutions to keep our intra-state travel smooth and quick, we will have to endure. However, those who are considering island hopping will find that even with the challenges at the airport, the experience is certainly worthwhile. 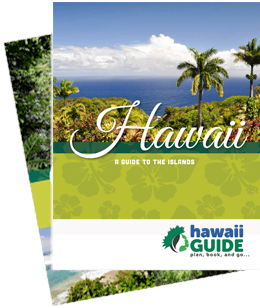 This is especially true for those who want their Hawaii experience to have all the excitement of Honolulu, Pearl Harbor, and still want the quiet serene setting of the Big Island and must include a visit to the Hawaii Volcanoes National Park. There are a handful of Hawaii inter-island flights. Each airline has different aircrafts, destinations, dependability, and cost, so consider wisely before purchasing a ticket. Hawaiian Airlines is the dominant inter-island carrier. Serving four major islands with the dependability of Mussolini’s trains at a cost of an NFL ticket, Hawaiian offers Boeing 717 jets with a first class and coach and pre-assigned seating. Go! Operated by Mesa airlines operated a small fleet of CRJ2000 jets, smaller than Hawaiian. Go! offers discount airfares that are sometimes less expensive than Hawaiian and operate in the smaller less hectic commuter terminal at Honolulu International Airport. However, Go! has a local reputation of not being reliable. Cancellations and long delays are frequent. The remaining airlines operate turbo-prop and small aircrafts. Mokulele and Pacific Wings operate small planes that seat less than a dozen passengers While Island Air has a more comprehensive flight schedule and operates 50 passenger planes. In addition to servicing the four major islands, Island air specializes in service to the secondary airports of Molokai, Lanai and Kapalua on Maui. Operating in and out of the commuter terminal on Oahu, this airline has a limited flight schedule that may not easily fit most travelers’ needs. Hawaii inter-island flights' air traffic is operated in airspace the south of the island chain with a few exceptions. Those wanting to get out their cameras and enjoy the scenic views from 10,000 feet above the blue Pacific should refer to the seating recommendations for a more camera-friendly experience.